As a classic car collector, you have made a large investment of time and money into something that is almost irreplaceable. Classic cars are a passion for many in the Boston area which brings a lot of opportunity and challenges to the classic car owner. From parking, to maintenance, to storage, there’s more than just cruising around and taking in the sights in a stylish car. Here are the best reasons for and tools on how to choose classic car storage in Boston. They say if you don’t like the weather today, stick around, it’ll change tomorrow. 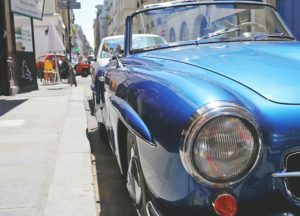 Bostonians get to enjoy the four seasons which can bring the most beautiful of summer days, perfect for classic car cruising. But along with the four seasons come wind, rain, snow and (gasp) hail. In reality, you probably get to enjoy the use of your classic car for just four or five months out of the year in Boston, so you want it to be in optimal condition for uninhibited use when the opportunity strikes. Classic car storage in a fully enclosed garage or storage unit will protect it from rain, hail and snow…even the biggest ‘Noreaster Mother Nature can throw at us. You’ll still want to further protect your classic car while in storage by covering it with a tarp to fend off dust, Rodent traps placed under the vehicle are also a good idea. Classic cars are an investment and fluctuations in temperature and high moisture levels can be a big detriment to the condition of the vehicle. Freezing cold temperatures can wreak havoc on fuel systems and interior finishes like plastic molded dashboards, leather and vinyl seats. On the flip side, high humidity can increase moisture levels which lead to rusting and corrosion. That said, climate control storage is the best option for classic car storage in Boston, something most home garages don’t have. 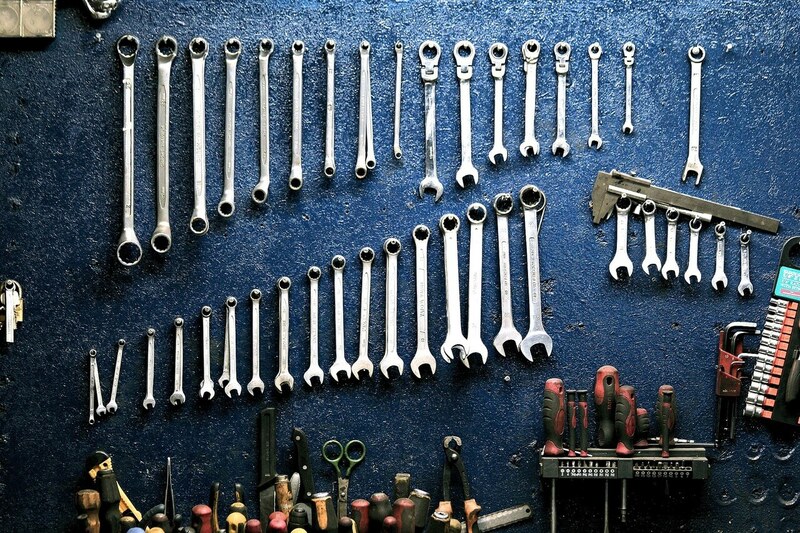 Maximize the storage unit you store your classic car in by storing tools and parts you use in the upkeep of your car. You’ll keep everything together in one place and they will all have the protection of indoor storage to preserve their condition. Outside of the weather creating issues for your classic car, there are dozens of environmental factors that can damage your car. Of course you can’t shield your classic car constantly; you have to get out and enjoy it! Taking the right precautions when your car is not in use will extend your enjoyment of it. Parking your classic car in your garage along with other items like golf clubs, holiday decorations and lawn furniture is only tempting fate. Imagine just one false move causing a cascade of stored items to topple on top of your classic car! And don’t even think about long term parking outside of your garage where your classic car is exposed to debris from trees or getting in the way of a friendly game of catch in your neighborhood. When you store your classic car in a storage facility you will give yourself peace of mind. The additional cost of short term storage will be justified in the headache and heartache improper, cheap car storage can bring along with it. Like most Boston homeowners, you probably don’t have a large home with extra storage or a large garage with room for all of your cars and belongings. Maybe you live in the city and have little to no indoor parking. 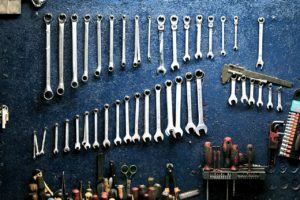 For those of us with home garages, sometimes we can’t even park our everyday car in the garage due to heaps of boxes, lawn equipment and other items taking up precious space in the garage to free up room inside of our homes. 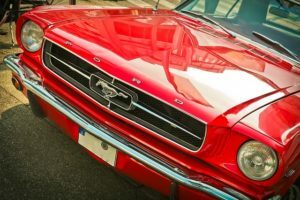 Storing your classic car at a local storage center will allow you better use of your garage all year long and, who knows, maybe you can park your everyday car in the garage again! Maximize your storage unit by storing other seasonal items and power tools that rarely get used. You might be surprised how much you can fit in a drive up storage unit. EZ Storage of Boston offers multiple drive-up storage units in Framingham, Newton and Natick. Check out our storage unit size guide to determine the best classic car storage unit for you. #5 It’s Not Just a Classic Car, It’s an Investment! The time, money and love you give your classic car to keep it in cherry condition not only pays off in your enjoyment of the use of it, but also helps preserve a piece of history. That piece of history may give you a large payoff someday when it comes time to sell. Protect your classic car investment by storing it in a secured storage facility. Don’t opt for warehouse storage and expose your classic car to damage that could be caused by other storage tenants. Whether you are planning on passing down your classic car to a loved one or will sell it on your own or through an auction, it is an investment worth protecting, so carefully choose the right car storage facility. When you store your classic car, you may decide to store it year round or just during a few months of the year. Choose a storage facility in Boston that is near you so you can quickly and conveniently pull it out of storage when you need to do repairs or use it. You’ll also want a storage unit near you that offers both long and short term storage units and offers you the flexibility you want to get maximum enjoyment of your car. Call EZ Storage when you are ready to reserve a storage unit. In the meantime, check out our other car storage and car care resources to get the longest life out of your car.